I’ve put two photos before you today, having noticed the difference between two lots of seedlings treated in exactly the same way. 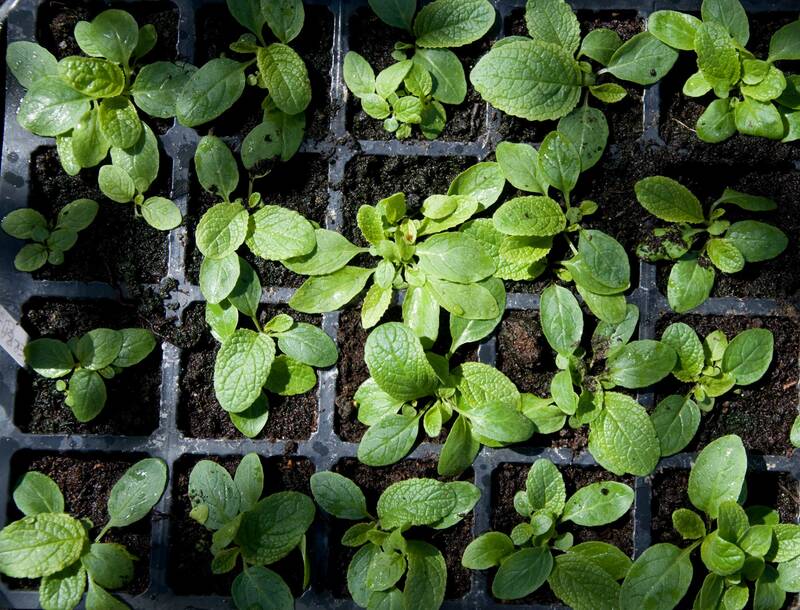 They were sown in the same seed tray, then pricked out into modules. 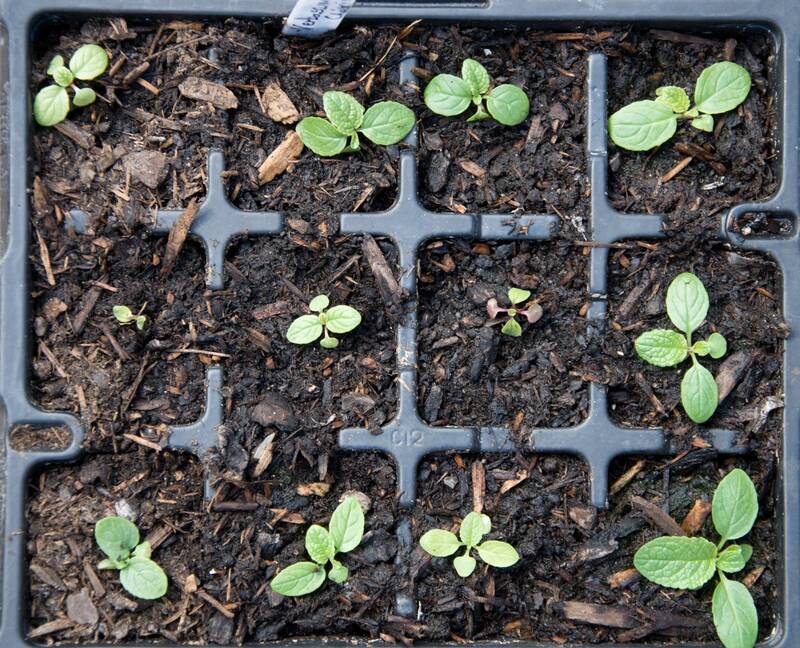 They are verbascum seedlings which I’ve never grown before. That doesn’t matter. What does is the noticeable difference in size, development and vigour. The only thing making a difference here is the compost. One is Clover, the best I can find and recommended by my favourite garden centre. The plants growing in this are coming along well and the difference between them and the supermarket, three bags for a tenner compost is marked. The plants grown in this are small, pale and not growing well at all. It has very little nutrient and the plants don’t like it. Fortunately I have plenty of healthy plants and can afford to throw out the weaklings if needed. I’ve noticed a lower germination rate in seed trays, too, with the cheap compost. When choosing compost, make sure it’s the right one for the job. Seeds don’t need food to germinate, and at first you want good root development, so making the roots stretch looking for them is no bad thing. But once they are pricked out to grow on, they need more food. So start them in a GOOD QUALITY seed and cutting cxompost, then pot them on into more appropriate, again quality compost. Standard all purpose will be fine for young vegetables, garden annuals and perennials that don’t have specific requirements such as being acid lovers. We can delve more into the mysteries of acid and alkali loving plants in another post. For now, just remember that poor quality compost will waste your time, money and seeds. Buy the best you can afford and avoid disappointment. Have you experienced problems with your growing medium? This entry was posted in lifesyle and tagged compost, gardening, growing, lifestyle, seeds. Bookmark the permalink.